South Adelaide can reveal the senior squad will be playing three trial games in preparation for the 2017 SANFL Macca's League season. 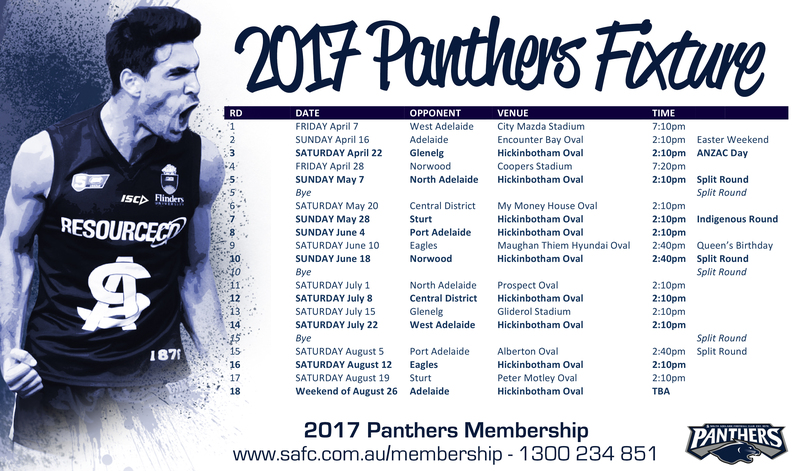 The Panthers off season schedule gets underway with an internal trial game at the club's Family Day on Saturday, March 18. Gates open at 1:00pm and the first bounce at 2:10pm. Trials for both Reserves and League teams against North Adelaide at Hickinbotham Oval (11:25am and 2:10, Saturday, March 25) and Woodville-West Torrens at Woodville Oval (11:25am and 2:10pm, Saturday, April 1) conclude preparations for the upcoming season. The following weekend South get the season proper underway with a clash under lights against West Adelaide at City Mazda Stadium from 7:10pm (Reserves 4:30pm). Don't miss any of the action this season - click below to sign up as a member today! 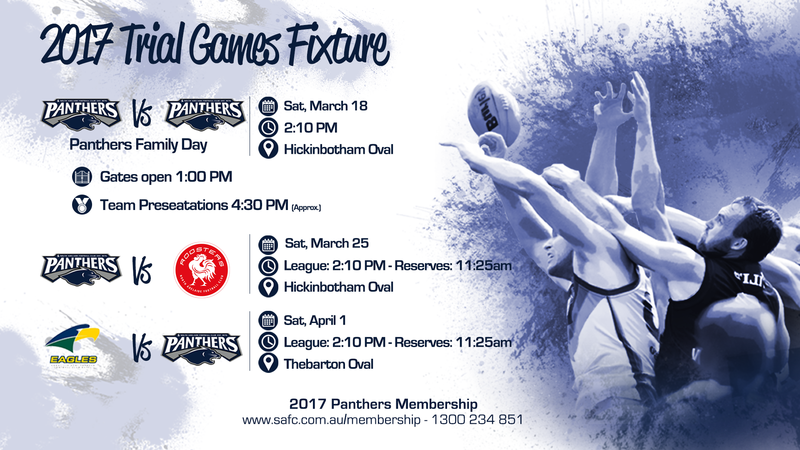 Click here to download a copy of the Trial Games Fixture or click here to download a copy of the Panthers 2017 SANFL Macca's League Fixture.